I tend to agree with the thrust of the article, whilst accepting the possiblity that with some different starting conditions you might also get divergent evolution e.g. a squid or octopus-like creature might potentially come to dominate both sea and land. Anyway, it seems at least reasonable to accept that humanoid creatures could very well evolve on a planet similar to Earth and Mars was very similar to Earth. Humanoid would mean things like being bipedal, having stereo vision thanks to two front-facing eyes and having a multipurpose mouth. There would be strong convergent pressure for the brain to be at the "front" of the body (i.e. in the head and protected by a skull). That then raises the question of whether there would be convergent cultural development. Again we see that on Earth with civilisation appearing to start in separated locations. It seems to be that any humanoid on Mars would also pass through an initial "stone age", working stone to make tools and weapons before becoming adept at metal working. They would have to develop the ability to make fire at some stage. Once you can control fire you can cook, making all sort of foods more available to you. They would also develop clothes to keep them warm, if - as would be likely - they evolved in the tropical zone and then moved into colder climes. Separate but related languages would develop as on Earth. The development of religious and cultural ideas would probably be similar, especially if as one might expect there were two genders. The development of shelters made from plants or regolith material would be another obvious point of convergence. If Mars were unlucky enough to suffer a major comet or similar strike soon after civilisation began (and I believe it is the case - given that a Mars humanoid civilisation would likely have come about perhaps hundreds of millions of years* before Earth's human civilisations - that the chances of that happening would be much higher in Mars's case, as that would be when there were more potential comets around) then the civilisation might have been extinguished by a global firestorm, poison gases, tsunamis, and many years of reduced insolation from dust in the atmosphere. All of the above is I think perfectly reasonable which is why I don't think we can simply dismiss the notion that the anomalies relate to a now extinct civilisation, even though other explanations may finally prove to be superior e.g. atypical vulcanism on Mars and so on. Unfortunately, the Martian atmosphere began heavily eroding some 4.2 to 3.7 billion years ago. Had the magnetic field lasted a few hundred million years longer, the sun would have had time to stabilise. But the atmosphere probably got stripped down to its present sparse state within a few hundred million years of the field collapsing. The late heavy bombardment took place 4.1 to 3.8 billion years ago, about the same time, and would have substantially aggravated solar atmospheric loss mechanisms, as well as killing any advanced life on the planet. So unless advanced life managed to evolve in the narrow window between 4.7billion and 4.1 billion years ago, it is difficult to see how it could have developed any later. Bacterial and other single cell organisms are a different matter. There is an outside possibility that they could still be around today. Well that's the latest NASA hypothesis, isn't it, based on MAVEN observations? I don't think anyone knows for sure. If they were a few hundred millions out that could be significant. It took 2.9 billion years for multi-cellular life forms to develop on Earth. But once multi-cellular life got going, v. intelligent organisms appeared within 600 million years. But would all planets experience such a long delay before multicellular life developed? Another good reason for us to get to Mars so we can clarify what happened with geology, atmosphere and any life forms. The late heavy bombardment took place 4.1 to 3.8 billion years ago, about the same time, and would have substantially aggravated solar atmospheric loss mechanisms, as well as killing any advanced life on the planet. So unless advanced life managed to evolve in the narrow window between 4.7billion and 4.1 billion years ago, it is difficult to see how it could have developed any later. .
Actually, recent evidence suggests that Mars is a planetary embryo that never accreted anything past that state, thus never having undergone the late heavy bombardment like Earth did, hence its small size compared to what would be expected given its distance from the Sun. However, I do agree that the timescale seems fairly implausible for human-like evolution given that it took ~3.3-3.5 billion years from the origin of life on Earth for the Cambrian explosion to happen, and another 541.8 million years after that for humans to evolve. That being said, I agree that bacteria and other sorts of Martian prokaryotes could evolve similar to their Terran equivalents, and maybe even still be around. The time to develop highly intelligent life on Earth might have been shortened were it not for the periodic mass extinctions that this planet has suffered. The one at the KT boundary (exit non feathered dinosaurs stage left) was triggered by an impact, apparently. but earlier ones may have been of geological origin. At least no surviving impact traces have been found for even the very large ones, though this may be due to subduction. Major impacts on other bodies have obviously taken place but Mars may not have had the kind of volcanism that gave rise to the Siberian traps (which is believed to have caused the P-Tr extinction, the largest since the evolution of fossil forming multicellular animals on Earth) so that mass extinctions of Mars life (if any) may have been less frequent than those of Earth, giving more chances of evolution of brainy creatures in the early part of Mars history whilst it did have an atmosphere. Mass extinctions may be one of the drivers of evolution. An ecosystem develops a stable system, species stop evolving, at least not quickly. Evolution has been shown to have massive leaps. A major event such as global climate change forces species to change. Those that don't, die. Recent examples in human evolution are waves of disease through Europe. When the black plague first hit, a large portion of the population died. Each time it came back, a smaller proportion died. Medieval doctors thought the disease had become less virulent, but modern science knows it didn't. Those humans who survived, passed resistance on to their children. Through massive death, humans evolved resistance to this disease. This happened with small pox, typhoid, influenza. When Europeans first went to the Americas, we discovered what those diseases will do to a population that has never been exposed to it. Deaths in the Americas were a severe as when those diseases first hit Europe. One modern theory is that humans evolved in a small area of Africa known as the Great Rift Valley. This area had many rapid climate changes. 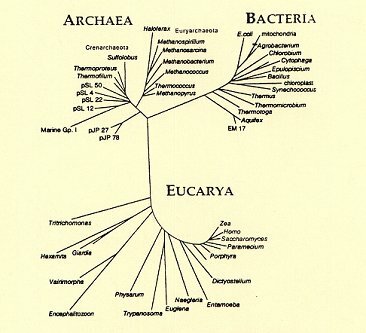 Species who lived there had to adapt or die. This is an area of continental spreading; the belief is eventually Africa will split into two contents, and this valley will become a new ocean. One active volcano has a stable open lava lake. But areas within change from lake to Savannah with a single human lifetime. First mammals and first dinosaurs appeared at the same time from a single common ancestor. Mammals became very small so they could hide from dinosaurs. Mammals became smart, quick, and adapted to harsh environments because they had to. When dinosaurs died, mammals survived. Being big, strong and dominant does not help against an asteroid. What did help was being smart enough to hide, and smart enough to find food when the dominant life form was trying to kill you. So mass extinctions can help drive evolution. As long as it doesn't destroy everything. yes. your last sentence encapsulates the thinking, Robert. An extinction so drastic that it eliminates so called higher life forms will extinguish nascent intelligence, but lesser stresses will encourage its development. What doesn't kill ( or sterilise) my offspring will make their offspring stronger! Thing is we don't know whether the transition from unicellular to multicellular life forms is simply a roll of the dice, which might happen in 100 million years or 3 billion years. Alternatively as discussed by others here, it might be that Earth extinctions were more frequent and devastating than on Mars. I think until we get geologists, biologists and like scientists to Mars we really don't know the answer. I wouldn't trust a single analysis (MAVEN) for the timeline. Methane could also be plutonic in origin. It comes out of earth volcanoes. Presence of methane and simple derivatives does not require lifeforms. On earth the isotope mix is different depending on the origin of the methane, but that might not apply on Mars in the same way. Its a shame that the Red Dragon with a drill unit hasn't materialised. So how do we get Space x to ignore Nasa and to keep going forward with this mission and others. First step to appease Nasa and the Military would to keep a production of Falcon 9's going to support LEO missions ect....this keeps Space x from becoming a workfare company. Next step is to really make use of Falcon 9 heavy not just as a test but as a means to push man back to the moon which means we need a lunar lander and base modules for added crew materials to be used in. Buy a Cygnus to learn from its design to make module building possible. Continue growth of the next BFR with methane engines toward 10 meters and greater lift for what is needed as a larger core than the 3.7m size of a falcon with adapter collar that brings the size up to something less than 10 meters for payload as we want more tonnage at the 10 meter diameter. But all DNA spirals one way and none the other as I understand. The book may contain different spellings and added chapters and even deletions but the writing still goes the same way! Chiral molecules generally are used by life in one handed form eg dextrose is fuel and laevose is not absorbed and will give you diarrhoea. There doesn't seem to be any apparent reason why one form should be preferred and the other not used. Maybe someone will come up with a reason for this preference one day, but in the meantime I think the likely explanation is that life only happened once on earth and that life happened to use the current molecular handedness. The two strands of DNA run in opposite directions to each other and are thus antiparallel. Why is DNA in a spiral? There seems to be no definite answer now. Some say it is because the direction of chemical bonds. Others say the spiral shape is the most economical way for information packaging. Still others say DNA was most stable in spiral shape. However, RNA does have the disadvantage of being less stable than DNA, especially on planet without atmospheric protection of solar radiation. Spacenut. Both strands are coiled the same way. You cant assemble a left hand nut onto a right hand thread. When astrobiologists study life, however, they have to consider not only individual organisms, but also ecosystems, and the biosphere as a whole. If a "universal biology" exists, it would have important implications for the search for life beyond Earth, for engineering synthetic life in the lab, and for solving the origin of life, enabling scientists to predict at least some properties of alien life. 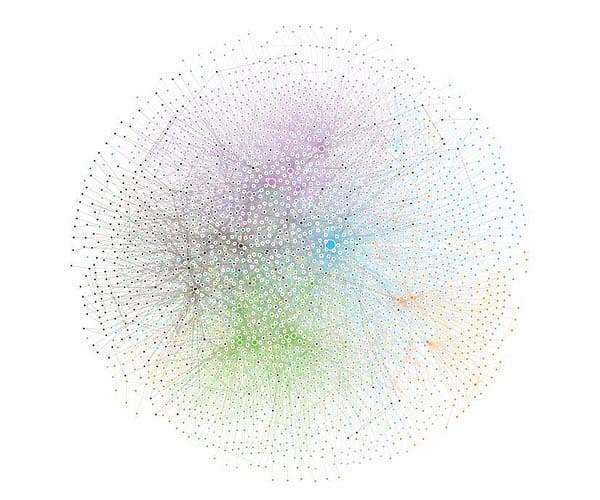 For this research, the team constructed biochemical networks using a global database of 28,146 annotated genomes and metagenomes and 8,658 catalogued biochemical reactions. In so doing, they uncovered scaling laws governing biochemical diversity and network structure that are shared across levels of organization from individuals to ecosystems, to the biosphere as a whole. "Quantifying general principles of life - not restricted to a domain on the tree of life, or a particular ecosystem - is a challenge," says Smith. "We were able to do that by combining tools from network science and scaling theory, while simultaneously leveraging large genomic datasets that researchers have been cataloging."